Tessa Sanderson CBE is an Olympic Javelin Legend. Tessa has competed in six Olympic Games, winning a Gold medal in the javelin event in Los Angeles 1984. Sanderson remains the only British Woman to ever win an Olympic throwing Gold Medal. Other major medals include three Commonwealth Golds, a World Cup Gold in Cuba in 1990. 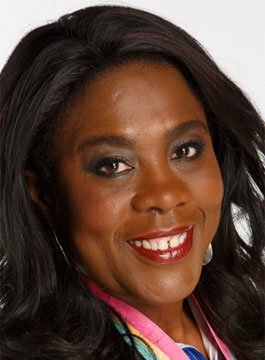 In 2004 Tessa Sanderson was awarded a CBE in recognition of her services to sport. Prior to the CBE she was the recipient of an OBE in 1997 for her work with various charities and in 1985 was awarded the MBE for winning her Olympic Gold Medal. During her 26 years competing for Great Britain Tessa was Sports Personality of the Year and Athlete of the Year (3 times). Tessa Sanderson was awarded the Sunday Times Life Times Achievement Award for her dedication to sport. Tessa holds two Honorary Fellowship Degree one from South Bank University in London in 2004, and prior to this Wolverhampton Polytechnic. She also has an honorary Masters Degree from Birmingham University. Tessa was a TEAM GB Ambassador for the London 2012 Games and currently runs her own sports academy – The Tessa Sanderson Foundation and Academy. As a broadcaster, Tessa has presented for Sky Sports, BBC, ITV, Bloomberg, GMTV and others. Tessa’s motivational presentation is titled Path To Glory. Tessa take you on a journey from from her school days through to winning her Olympic Gold Medal and beyond. Path to Glory touches upon her inspirations and what drove her to become Olympic Champion, and takes a light-hearted look at her rivalry with Fatima Whitebread. "The event went really well thank you. Tessa was extremely approachable and had queues of people wanting a photograph with her. Tessa was extremely flexible when the timeframes moved back slightly and had a wonderful relaxed style. We really appreciated the time she took to come along so please pass on our thanks to Tessa and also to your teams whose support has all been great. Thank you." “Tessa was great last night – such a good speaker and it’s so lovely how her bubbly personality came through throughout. Tessa's passion, energy and personality really shone through. Her story of courage and 'having no fear' contained many messages that we could all relate to”.